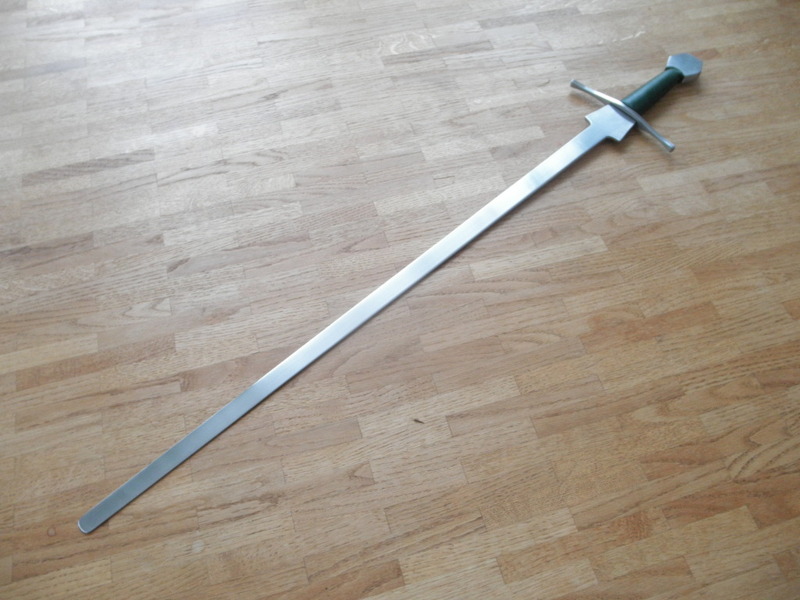 I wanted to show you a single-handed federschwert I just finished. 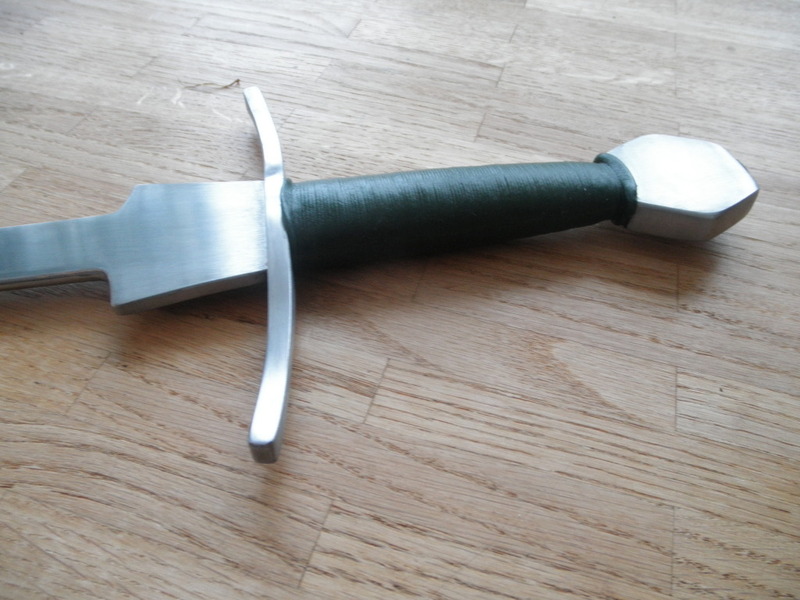 Usually I only make sharps but I've been needing something for sword and buckler sparring. 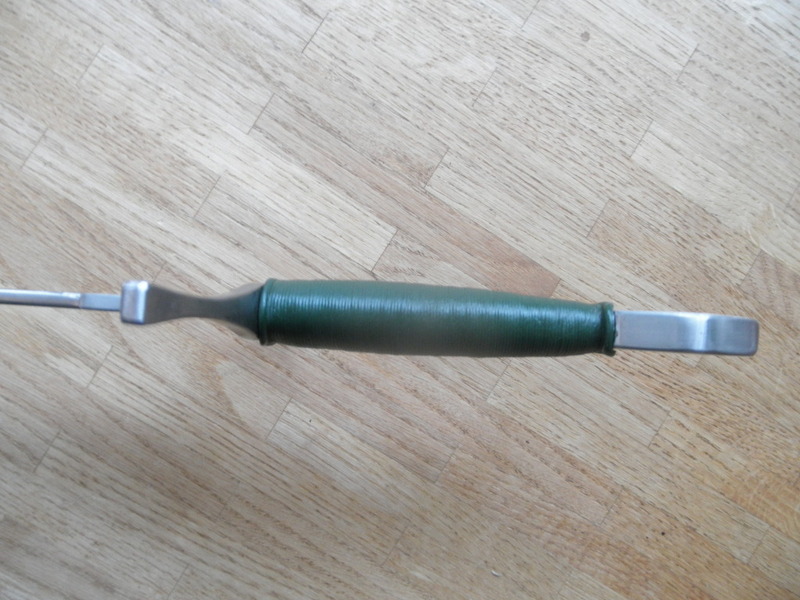 This is purely a training tool, machine finished and very quickly made. Nothing aesthetically sophisticated about it. The only nod to beauty is the leather wrapped grip. A simple cord wrap would have done but I've been wanting to see how such a grip fares in hour-long, hard use. 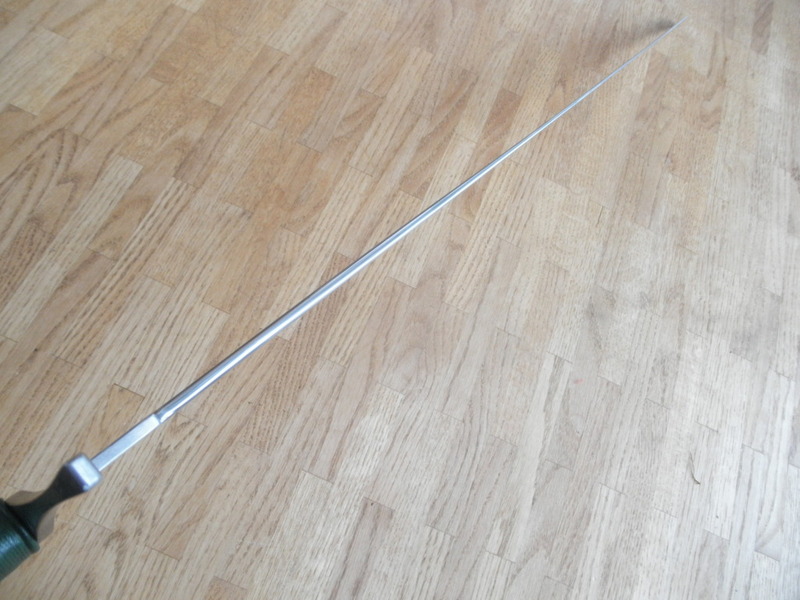 Functionally, I tried my best to make a safe training sword that handles like a sharp. The feder is very agile but not without blade presence. 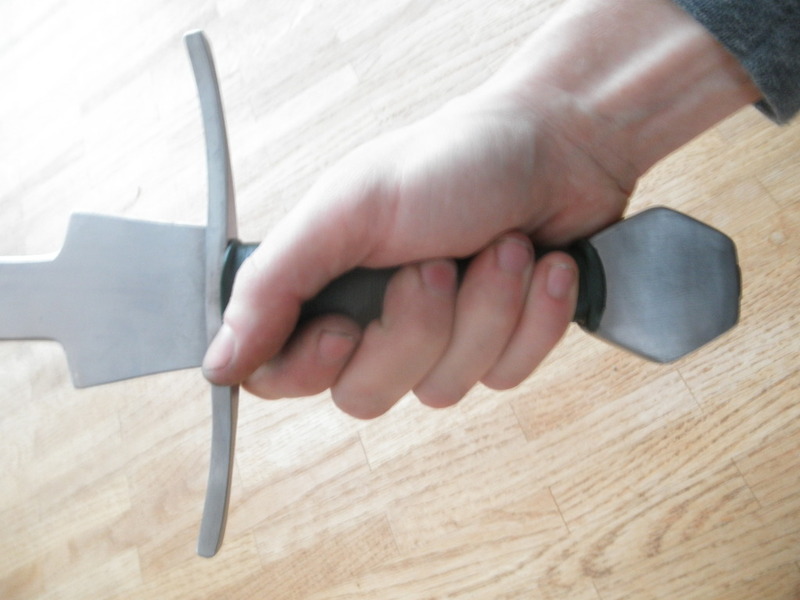 Distal taper is such that the blade only flexes in the upper third. It is quite stiff, took about all I had to bend it like this with one hand to take the pic (to be fair, crouching and fuddling with the camera isn't the best position to exert force). The flex is enough to make thrusts fairly safe though protection should be worn when using full force. 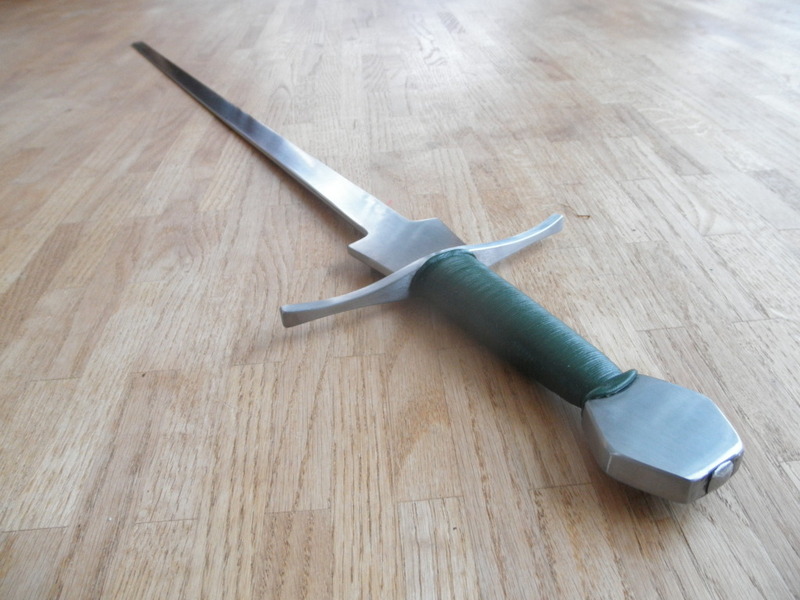 Overall length: 94cm / 37"
Blade length: 77.5cm / 30.5"
Blade width at base: 4.5cm / 1.7"
CoP: ca 54cm from guard / 21.25"
Hilt node: 2cm behind guard / 0.8"
One thing I'm not sure how it will work out is the grip length. It is 11cm / 4.3", a bit longer than I would make it on a sharp but I wanted to be able to get my sparring glove in there. If it proves too long, I will add a riser below the guard that effectively shortens the grip. We'll see... 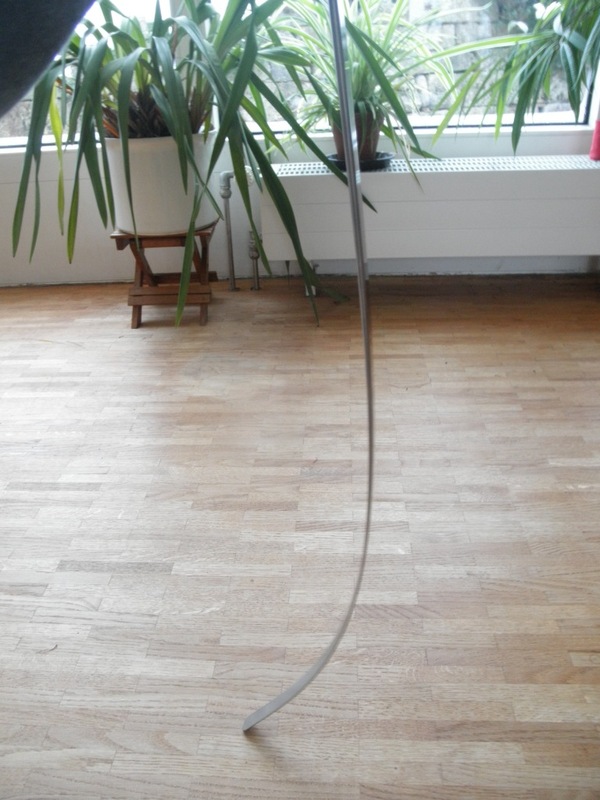 This my first feder so it is essentially a prototype. Overall, I'm quite happy with how it turned out, it will be tested very throughly in practice, you can be assured of that!